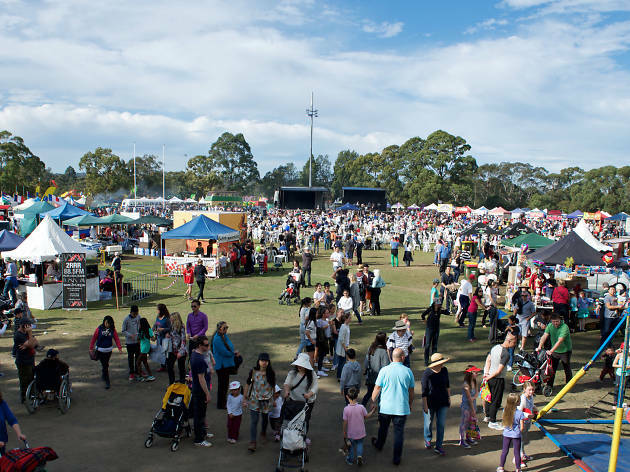 The Hunters Hill free community festival returns this year with rides, rock climbing, furry friends, great food and sideshow fun. Running for more than 30 years, the annual family day offers up a host of free activities for thrill seekers, dog lovers and little ones. A carnival of rides will keep kids of all ages entertained, while nimble ones can scale a huge rock climbing wall. Take to the circus playground or go to clown university and learn how to juggle and walk on stilts. Your pooch can also join in on the fun and strut their stuff at the dog show, where the Moocooboola Festival Dog of the Year will be crowned. Animal lovers will also want to check out the walk-in animal farm with chooks, goats, sheep and more. There will also be a market bazaar with food stalls and fresh produce, and an entertainment stage with live music all day. Head to Boronia Park on Sun Aug 6 for all the action. 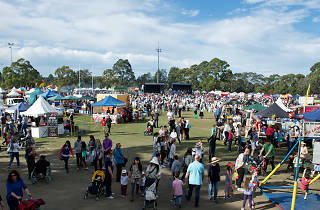 Find out more about the Moocooboola Festival.